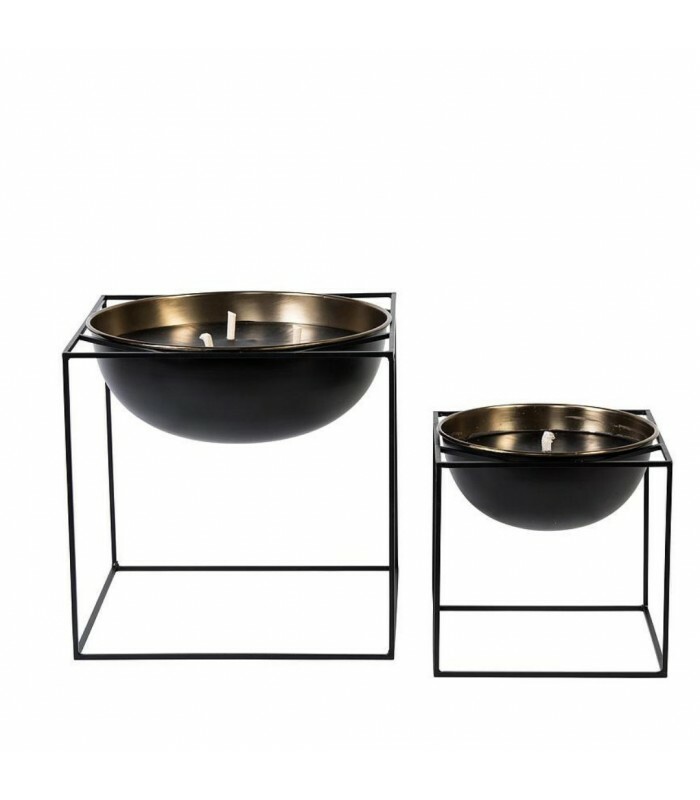 powder coating and brass interior Set of two outdoor candles in a black frame. A set of two black outdoor candles, cast in a large black bowl. Everything is integrated in a cubic frame. This set is modern and is reserved for outdoor spaces; garden, courtyards or terraces. We love the black powder coated exterior, antique brass interior that reinforces the visual and graphic identity of this original set.